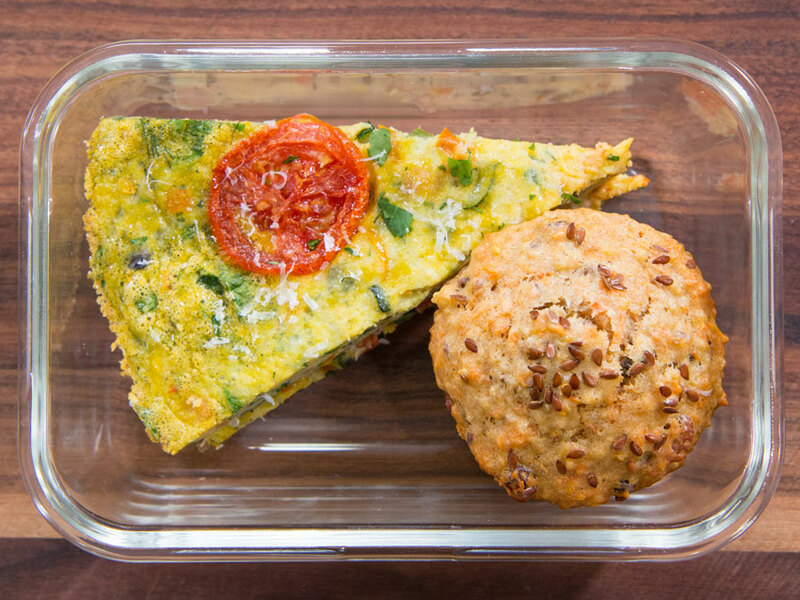 Three healthy breakfast ideas featuring the most popular Starbucks breakfast menu items. Sometimes just getting out of bed can be a chore in itself. I find breakfast is sometimes the hardest meal to prepare in the morning. 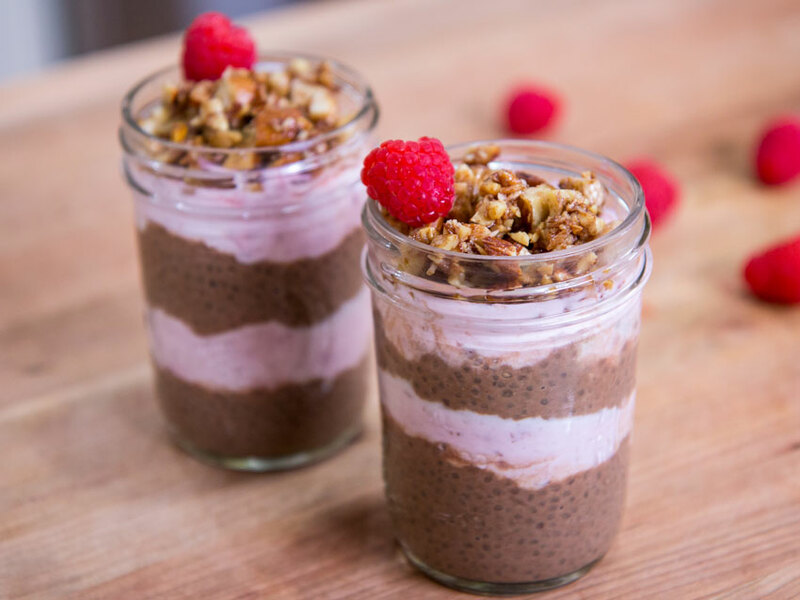 You don’t have the energy to create the healthy breakfast ideas you were fantasizing the night before. Your body wants food now! You might even end up eating a bagel or something quick and often, unhealthy. My solution is to prep your breakfast beforehand. Here’s a Starbucks meal prep idea that will not only fit the bill for healthy breakfast ideas, but it’s also prepped to impress. 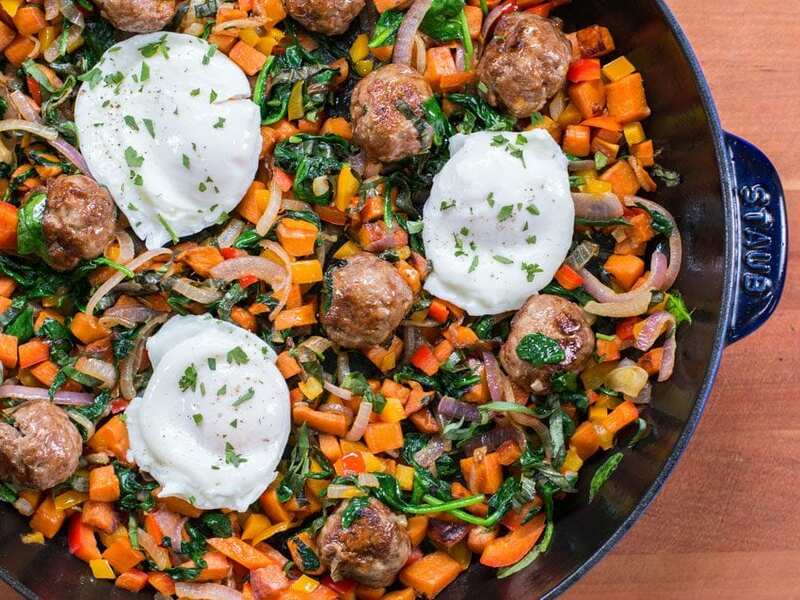 Other healthy breakfast ideas you can try are Keto Breakfast Sandwich Meal Prep and Whole30 Breakfast Meal Prep. It’s not just their signature coffee, Starbucks breakfast sandwiches also have me lining outside their café. 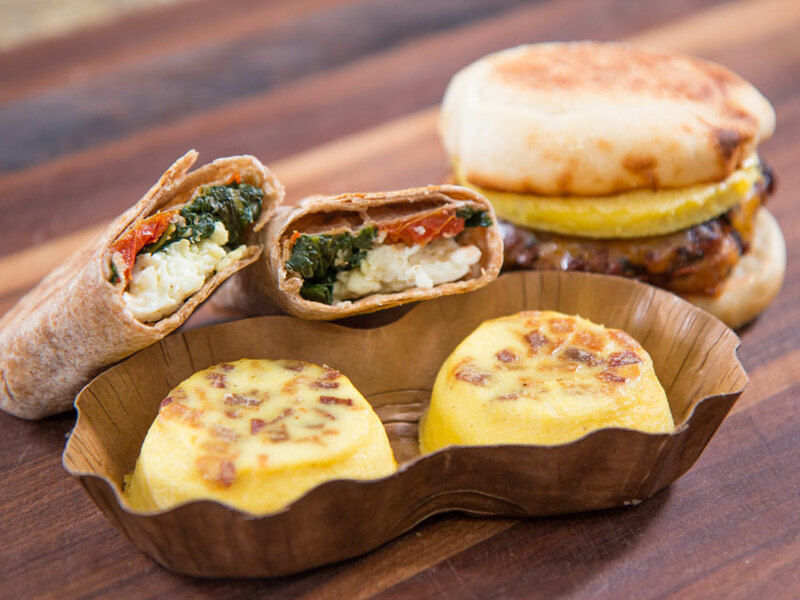 You can prepare your Starbucks breakfast sandwiches three days in advance. If you want to create more servings, you can always double the recipe. But I would suggest you freeze it if you plan to consume it after three days. 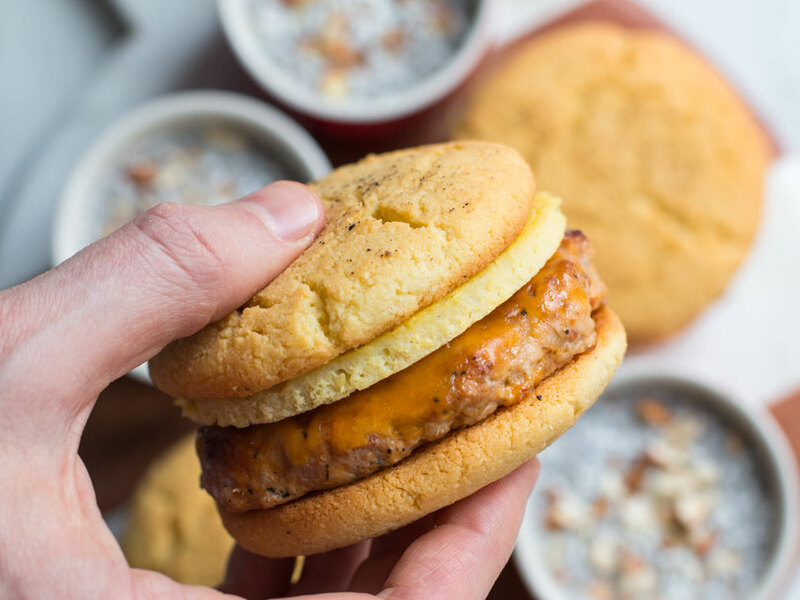 For this breakfast sandwich, I start with turning my chicken sausage into a burger patty. For this, you will have to remove the casing of the sausage, reshape it and cut into a burger patty shape. I fry my burger patty on a cast iron pan. A cast iron pan is a healthier and safer choice when you’re frying. A cast iron pan requires less oil and it isn’t coated with materials that are harmful to your body. In the end, I add the cheese on top. To allow it to melt properly, I throw in ice cubes into the pan. This brings down the pan temperature so the cheese will melt without burning the patty. The next part of my breakfast sandwich is the eggs. The key to fluffy eggs in Starbucks breakfast sandwiches is whisking the egg mixture vigorously. If you don’t have a mold to cut circles for the chicken patties and the eggs, you can always use a lid like a peanut butter lid I used. Eggs are the best start of the day. In fact, they are the best food for any meal of the day. They provide protein to your body. Half the protein in eggs is in the egg whites. When you remove the yolk from the egg, you basically strip the egg from all cholesterol. That means you can enjoy all the benefits of an egg without giving your body extra cholesterol. This egg white recipe is super easy to make. Create the parts and just assemble the wrap. When I don’t have time, I skip baking the tomatoes. You can always replace them with sun-dried tomatoes. Baking or drying the tomatoes brings out the natural sweetness of tomatoes. Many people are often intimidated with egg white recipe. But it’s just like making a scrambled egg. Just remove the yolk and continue with the whites. You can create the entire Starbucks egg white wrap in advance or create the parts to assemble them later. If you want to create this egg white recipe in advance, then don’t assemble the parts while they are warm. You might end up eating a soggy wrap from all the vegetable juices. Cook’s notes: Recipe makes 6 egg bites, 3 sandwiches, and 3 egg white wraps. Cooked eggs can only stay in the fridge for 3 days, which is why I prepped this meal for 3 days. If you want to freeze, double the recipe and check for storing instructions at the end of the recipe. Make the bacon ahead of time for the egg bites or you can buy pre-made bacon and chop it up. You can buy raw chicken sausages at most grocery stores. You will most likely have to buy them in casings, and then remove the casing when ready to cook. If you don’t feel like taking the time to roast the plum tomatoes, you can buy sun-dried tomatoes and use them for the wrap. For the sous-vide egg bites, pre-heat oven to 300 degrees F and place a baking dish that is filled with 1 inch of water on the bottom rack. This will create a humid environment and help the eggs cook evenly. Add the eggs, cheese, cottage cheese, salt, and pepper to a blender and blend on high for 20 seconds until light and frothy. Spray a muffin tin with a little non-stick spray and fill the tins almost all the way to the top with the egg mixture. 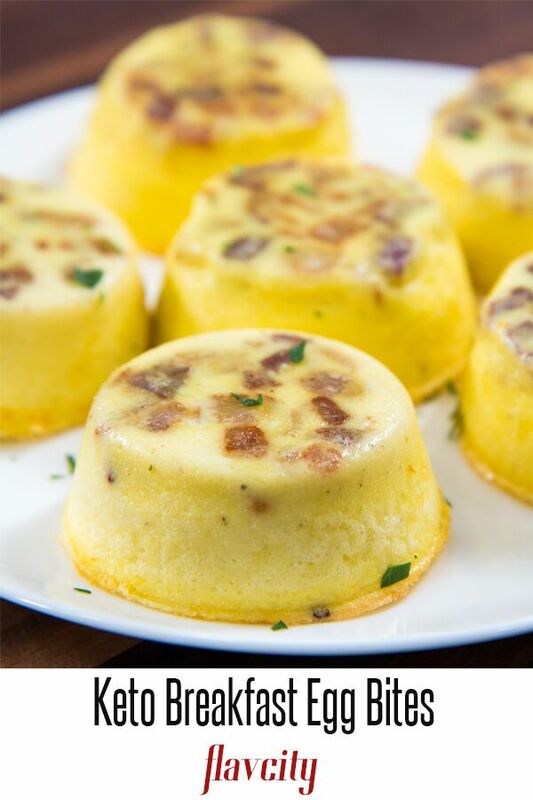 Divide the chopped bacon equally among all of the muffin tins and bake in the oven for 30 minutes, or until the center of the egg bites are just set. Remove from oven and let cool for 5 minutes, then use a spatula or fork to carefully remove them from the muffin tin. For the breakfast sandwiches, pre-heat oven to 400 degrees F. Cut each of the chicken sausages out of their casing and form each one into a burger patty. Watch the video below to see how I use an old peanut butter lid to form them. Once all three are formed, pre-heat a cast iron pan over medium heat with 1 tablespoon of veggie oil. Cook the sausage patties for 5 minutes on the first side and then flip. Cook another 2 minutes and then add just over 1 tablespoon of shredded cheddar cheese on each patty, drop 2 ice cubes in the pan, and immediately cover the pan with a lid. If you don’t have a lid place a sheet tray over the pan. Cook another 3 minutes without lifting the lid. Turn the heat off, remove the lid, and remove the patties from the pan. The ice cubes will create moisture and help the cheese melt evenly. To make the eggs that go on top of the sandwich, crack 5 eggs in a large bowl and whisk vigorously for 30 seconds until light and airy. Add ½ teaspoon of kosher salt, a couple cracks of pepper, and whisk a few more times. Pre-heat a 8-9 inch non-stick pan over medium heat and add the egg mixture. Use a spatula to continuously stir the eggs, making sure they cook evenly on the bottom. If they are cooking too quickly, lower the heat. 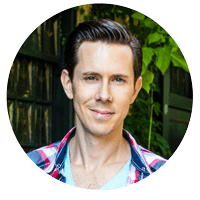 After 3-5 minutes, once the eggs start to cook and curds form, transfer the pan to the oven and bake for 7-8 minutes, or until the middle of the pan is set. Remove from oven and use a spatula to transfer the entire egg frittata to a plate or cutting surface. Use a drinking glass or ring mold to cut out circles that roughly match the size of the English muffins. Assemble the sandwiches by toasting the English muffins, placing down the sausage patty, the egg circle, and the top muffin. For the egg white wraps, pre-heat the oven to 300 degrees F. Slice the tomato into ¼ thick slices and place on a sheet tray. Drizzle over a shot of olive oil, a pinch of salt, pepper, and sugar on both sides. Cook in the oven for 40 minutes until soft and shrunken. Remove from oven, roughly chop, and set aside. For the spinach, pre-heat a large pan with 1 tablespoon of olive oil over medium-high heat for 1 minute. Add the garlic, red pepper flakes, and cook for 1 minute stirring often. Add the spinach and cook for 5-7 minutes until the spinach has wilted all the way down. Season the spinach with a ¼ teaspoon of salt, a couple cracks of pepper, and 1 teaspoon of lemon juice. Turn the heat off and set aside. To cook the egg whites, pre-heat and 8-9 inch non-stick pan over medium heat with 1 teaspoon of olive oil. Add the egg whites to the pan and let them cook un-disturbed for about 1-2 minutes until the bottom starts to set. Stir and break up the egg whites and allow to cook un-disturbed for another minute, until the egg white set even more. Keep doing this for 5-7 minutes until the eggs are cooked through, making sure you stir frequently to keep the curds on the smaller side, not chunky monkey style. Take the pan off the heat and season with just over a ¼ teaspoon of salt and a couple cracks of pepper. Stir and set aside. To assemble the wrap, place 1/3 of the egg whites in the tortilla, top with some of the spinach, chopped tomatoes, and just over a tablespoon of feta cheese. Watch the video below to see how I wrap the tortilla just like they do at Starbucks. Repeat this process with the remaining 2 tortillas. Pre-heat a large non-stick pan over medium-high heat and either spray the pan with some non-stick spray or pour in a teaspoon of veggie oil. Place the wraps seam side down and cook for 5 minutes, or until nice and golden brown, flip and repeat. If storing in the fridge for 3 days, leave the egg bites as is and reh-heat in the microwave or oven when ready to eat, or eat them cold. Toast the English muffin right before you want to eat it, and assemble the sandwich with the sausage patty and egg circle. Either assemble the wrap right before you want to eat it, or re-heat pre-made wrap in the microwave or oven. You can freeze everything for 2-3 months, including the formed egg white wrap. Enjoy! Easy for me, delish for them!!! Right on Pat, enjoy those bites!